Zagreb definitely isn’t the most popular city to visit in Croatia. 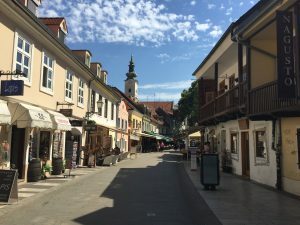 While it’s the capital of Croatia, Zagreb is a smaller land-locked city that most think can’t compete with the likes of Dubrovnik, Hvar, Zadar, and Split with their stunning beaches and azure waters. 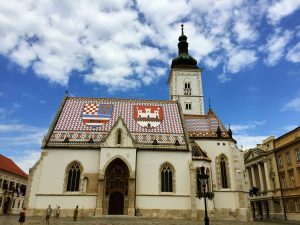 If we had to choose one city to visit in Croatia, admittedly it might not be Zagreb, but it’s worth visiting if you’re there on a multi-city trip. Zagreb is underrated and offers way more than what we were expecting! Zagreb isn’t huge by any means, nor is it expensive, which makes it easy to stay right near the center for a reasonable price at an Airbnb. The location was perfect, but the place was super hot and sticky. Croatia can get really hot in the summer, and we were there in July. It was about 100° everyday, and the Airbnb had no real windows for ventilation. Overall, it was a good place to stay, but not one we’d really recommend. La Štruk – Based on our visit, we would argue that La Štruk is the best place to eat in Zagreb. It’s famous for its Zagorski Štrukli, a famous Croatian dish that’s typical in the northern region near Zagreb. Štrukli, for short, is made of different types of dough and is filled with a variety of things. At La Štruk, we ordered one with pumpkin and one with spinach and cheese, and our mouths are watering writing about them right now. 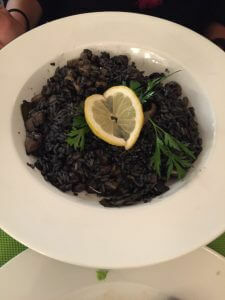 TIp-Top – Tip-Top is a Croatian restaurant in Zagreb that we found that served the Croatian dish Crni rizot, which is a squid risotto died black with the squid ink. 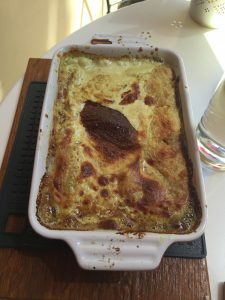 If you’re in Croatia, definitely find a good place to order Crni rizot because it’s DELICIOUS! We really liked the dish at Tip-Top and would recommend it if you’re looking to try the black squid risotto while in town. 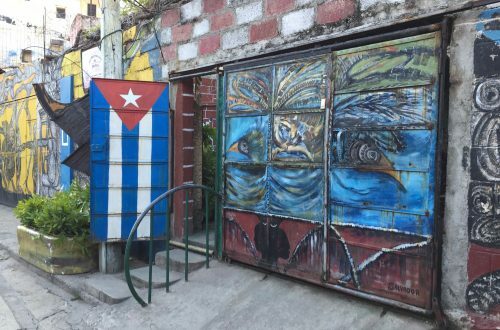 Kava Tava – We stopped in at Kava Tava for a quick bite to eat and had a sandwich and empanadas. Their menu was pretty big, and the food was good. It wasn’t as good as La Štruk, but it’s worth checking out if you’re looking for a place to eat while in Zagreb. Alcatraz Bar – This was a really laid back bar that kept serving up Rakia, or Rakija. Rakia is a the most popular drink in Croatia. It’s a fruit flavored brandy that comes in different flavors with plum being the most traditional. At Alcatraz bar, they kept serving up more and more of it, so naturally, we continued to try the various flavors. Unfortunately, we don’t remember our favorite, so you’ll have to try all the flavors to see which one you like best. 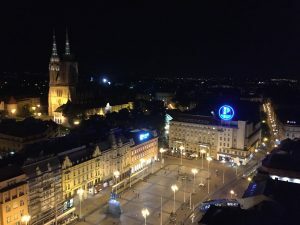 We had little to no expectations when arriving in Zagreb, similar to Bratislava, but we ended up liking it a lot. Zagreb is definitely underrated and under-appreciated. 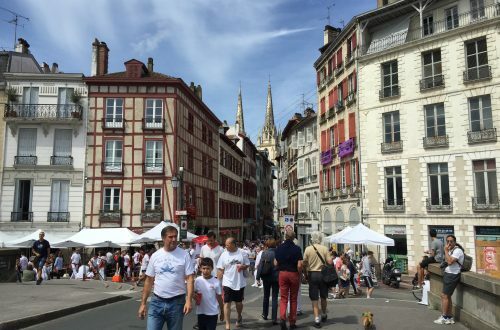 There is plenty to do and see for a few days. Plus, Štrukli. . . just to mention that again in case you couldn’t remember how much we liked it. Zagreb 360º – Zagreb 360° is a tall building right on Ban Jelačić Square that has a bar at the top and offers the best views in Zagreb. We paid the 60,00 kn (about $9.50) to go up to the observation deck. It’s worth it, especially because the ticket is good for 24 hours, so you can go back at night to get a different view. 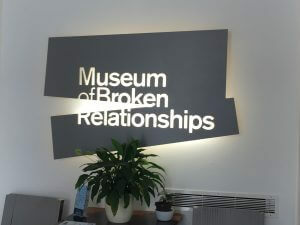 Museum of Broken Relationships – Zagreb is home to one of the two permanent Museum of Broken Relationships. The other is in Los Angeles. We weren’t really sure what to expect at all when we visited, but the museum was really cool and worth the visit. We actually spent more time there than we anticipated because we wanted to read all the personal stories that went along with each object people had donated. Essentially the museum has objects from around the world that people have donated that represent something about a past broken relationship. Each relationship ended for different reasons under different circumstances, but the stories people wrote about the objects were very personable and touching. It was certainly a museum unlike one we’ve ever been to and one we recommend whether you’re in Zagreb or Los Angeles. St. Mark’s Church – Located right by the Museum of Broken Relationships is St. Mark’s Church. We could have left this off as it is just another walkable site like those listed above; however, it’s roof is so unique and intricate that it needed to be highlighted. We didn’t go in the church, but make sure to walk around it to see the super detailed roof. Funicular – This is sort of one of those unique things in a city that’s interesting to know about and see, but isn’t a must-see. 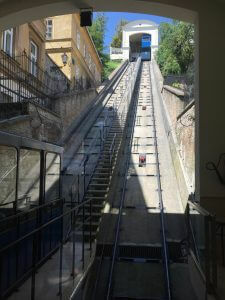 The Zagreb funicular is the safest public transportation system in the world as no one has ever been injured on it. It’s also the shortest funicular in the world at 66 meters and one of the steepest with a 52% incline. A one-way ticket cost 4.00 kn (0.50€), so if you want an adventure don’t feel like walking up steps, it’s a short, rather lackluster ride. 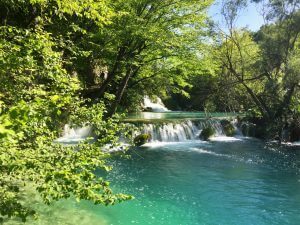 Day Trip to Plitvice Lakes National Park – Admittedly, our primary reason for visiting Zagreb was to use it as a place to say while visiting Plitvice Lakes National Park. A day trip to Plitvice Lakes from Zagreb is perfect. There are direct buses every day. We left early in the morning, spent all day at Plitvice, and then took the bus back to Zagreb. Plitvice Lakes National Park is one of the most beautiful places we’ve been, and we cannot recommend visiting enough! Have you ever visited Zagreb? Do you have any recommendations? 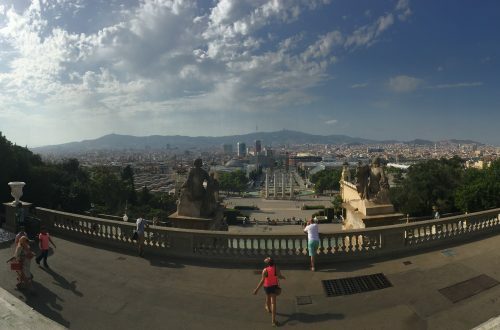 What are some other underrated cities you’ve been to?